So I recently returned from a trip to Ethiopia. The trip started out like many other coffee trips with heaps of cupping. I was very glad to be able to meet up with Carl Cervona from Technoserve in Addis Ababa and try out some samples from the coffee area surrounding the city of Jimma in the west of Ethiopia. Based on the cupping results and through conversation with Carl the planning of the trip towards west began and the route through this high altitude area was set. 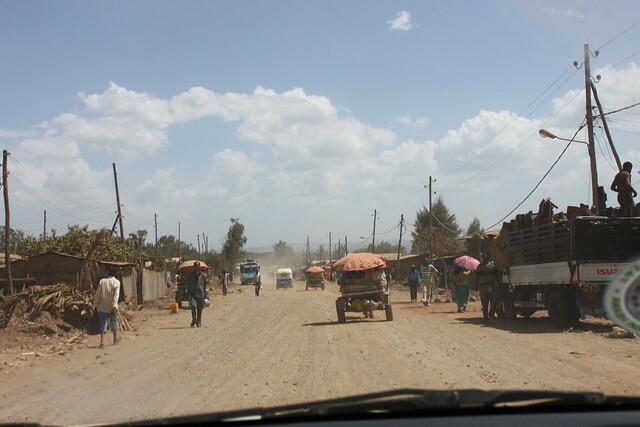 I was to travel out to Jimma and from here up north to the town of Bedele and visit around 10 cooperatives throughout the area. 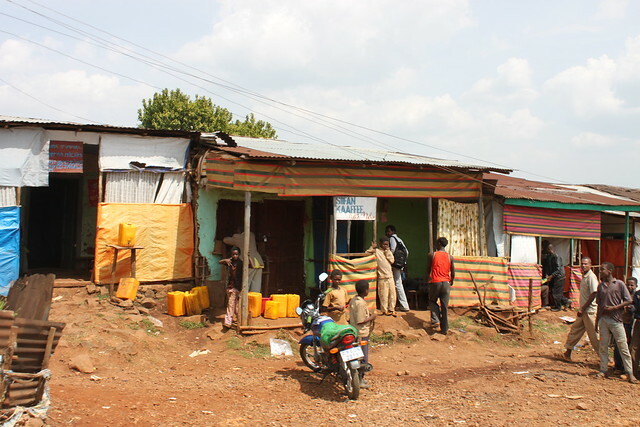 I arrived in Jimma in the afternoon so there was time to go visit some cooperatives located quite near Jimma. There are a lot of interesting things happening around Jimma. And I was introduced to some of these things at the cooperative of Doyo. Technoserve has been helping out for the last couple of years setting up loans for the cooperatives so that they can invest in better equipment and hereby get better quality, which hopefully will result in higher prices for the coffee. Among these things are the demucilators the cooperatives use to remove the pulp. 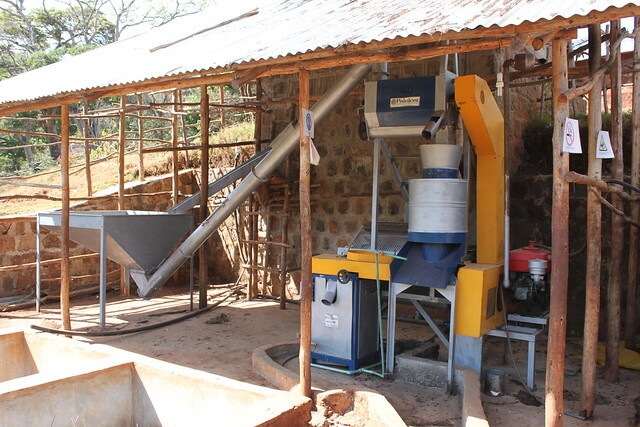 By using these machines you can separate fully ripe and under- and over–ripe and remove pulp and the layer of sugar from the beans without using the normal amount of water that a normal washing technic would use. After pulp and sugar is removed from the coffee bean the coffee is washed during night ant then laid out on the raised drying beds in the morning. The water from the washing phase is cleaned and collected in lagoons using ”Magic grass”(I know.. lovely name right). This grass is said to remove up to 80% of the toxic material from the wastewater. The rest is collected and when the moisture is gone you can use the rest as fertiliser for the farmers. It is crucial to clean the water properly as the small villages surrounding the cooperatives are depending on the water from the small rivers that run from the mountains for drinking, washing and cleaning. Arriving this late in the harvest period means there is not a lot to see coffee wise. But this means that the people running all these processes who normally are very busy, has time to meet and talk. 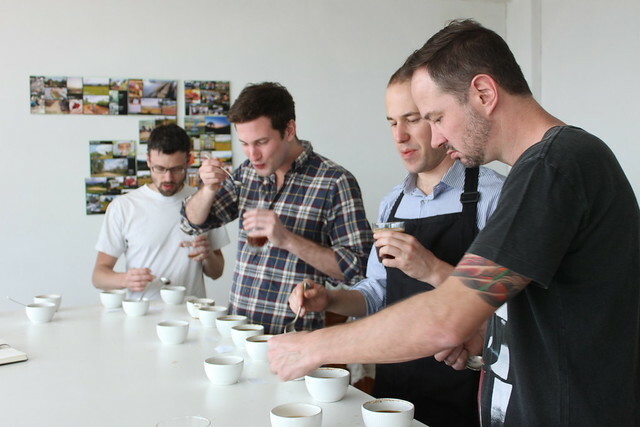 I had the privilege to meet some of the people who produce some of the best coffees from Ethiopia and it was great to sit down and talk about what they do and what it is we are doing back in Denmark. Great conversations. 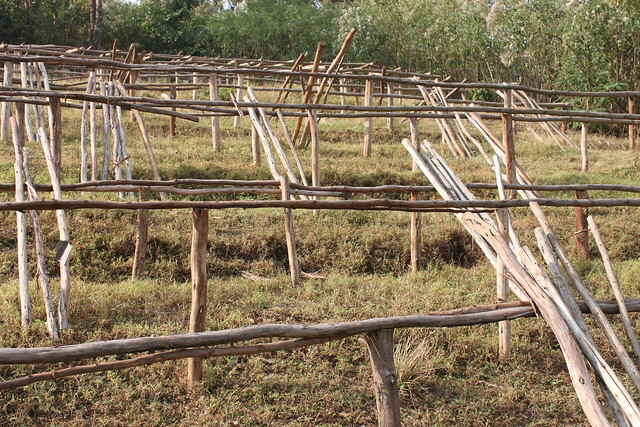 All the cooperatives I visited had already packed all their drying tables away or were in the process of doing so. This is because termites will ruin the wood that the tables are made of if they are left outside. 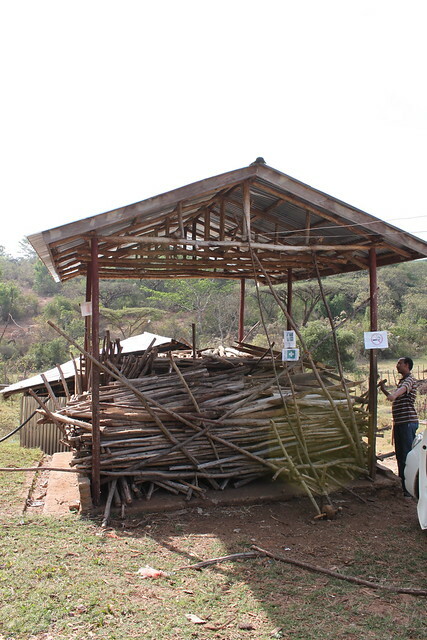 This wood is very expensive for the producers, so they store it safe in piles often at the receiving station. I also got to see some of the farms and plantations. 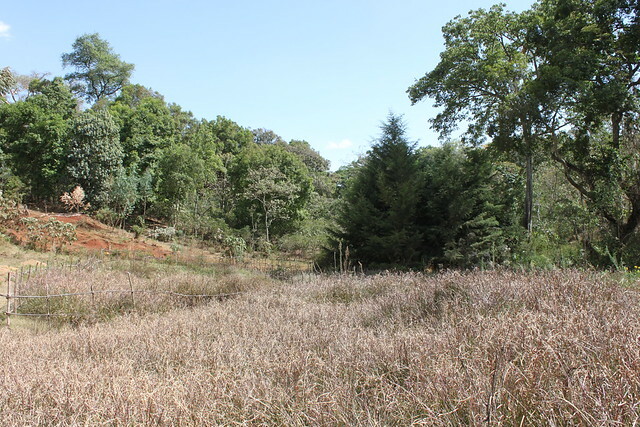 The plants are planted directly out in the surrounding forests. The biodiversity is extraordinary and the coffee plants grow wild into the sky. 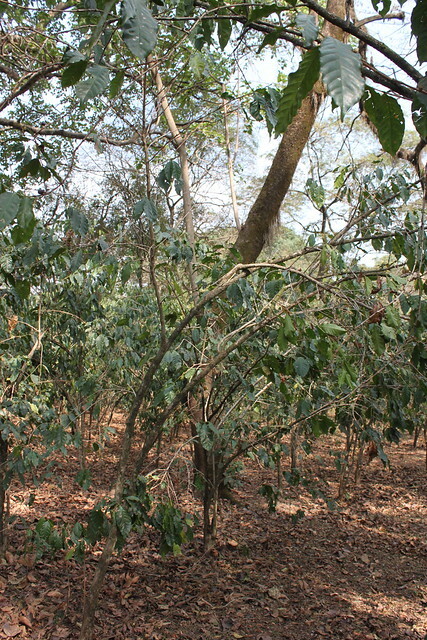 I have not before seen coffee plants this high and I seems there would be a lot of more producing capacity if they started to prune and stomp some of the plants. Also this would make harvesting the cherry’s much easier. As they said they use the natural pruning technique where you let the plant grow until it falls over from its own weight. This is Kebge Wubeshet a farmer from the Hawa Yember Cooperative whom I was very glad to meet. 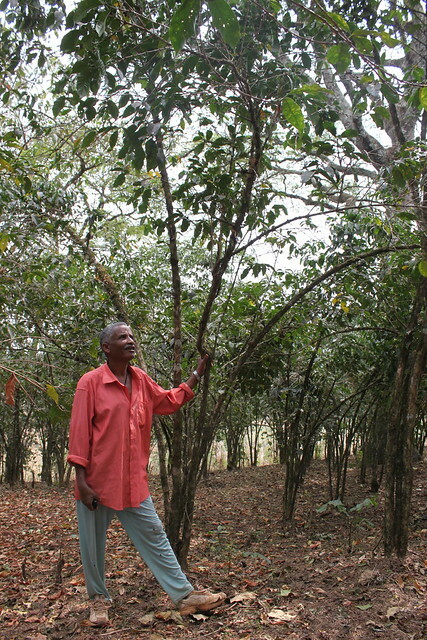 In the two years he has been in a cooperative working with Technoserve the prices has risen so much that he has been able to build a new house of wood for his family. Before that all their coffee was processed as natural coffee dried on the dirt and sold to private buyers who drove up to the farm and bought the coffee as grade 4 or 5 for cheaps. Now most of the coffee is sold as grade 2 coffees for very good prices to buyers throughout the world seeking extraordinary coffees. Kebge is happier to produce high quality coffee and can now see that it is in fact possible to make a living of producing coffee of great quality and not just produce it out of need. A really cool thing about Ethiopia is that they consume around 40% of the coffee they produce themselves. They drink it throughout the entire day and quite often it’s 2-3 cups at a time. Throughout Ethiopia you see small coffeehouses where coffee is brewed in the old traditional way by boiling it in a pot. Because most of Ethiopia is very high altitude this process does not ruin the flavour of the coffee and a lot of the places the coffee brewed this simple way really tastes good. 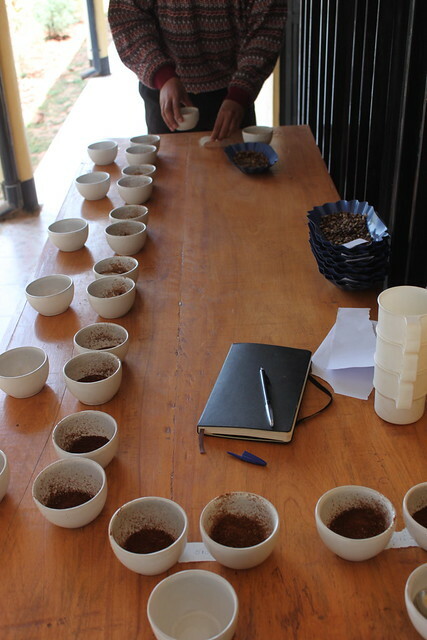 The trip ended up with me test roasting and cupping back in Jimma to make the last selecting round. I now knew what to bring home to sample with the guys back in Copenhagen. 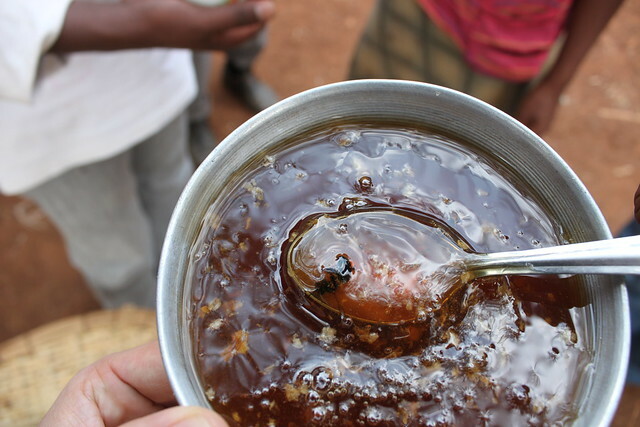 If you have plans to travel out west in Ethiopia do remember to visit some of the many honey farms as well. You will taste honey unlike anything you have tasted before.